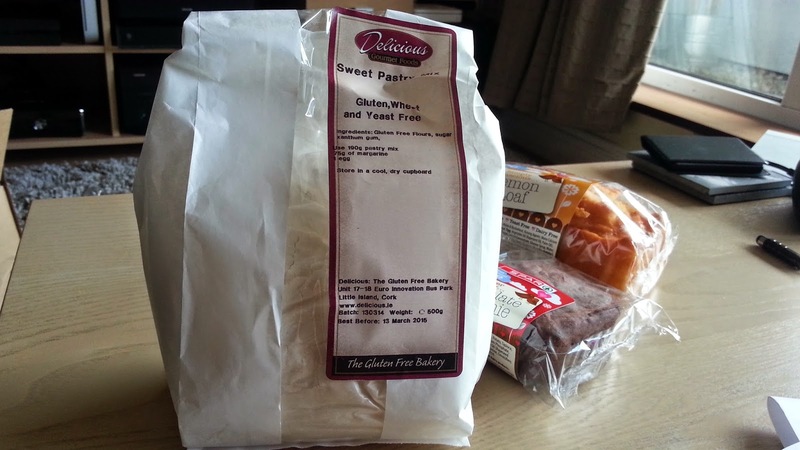 As gluten free diners we tend to pay over the odds for cakes because they have to be prepared without specific ingredients and without contamination. 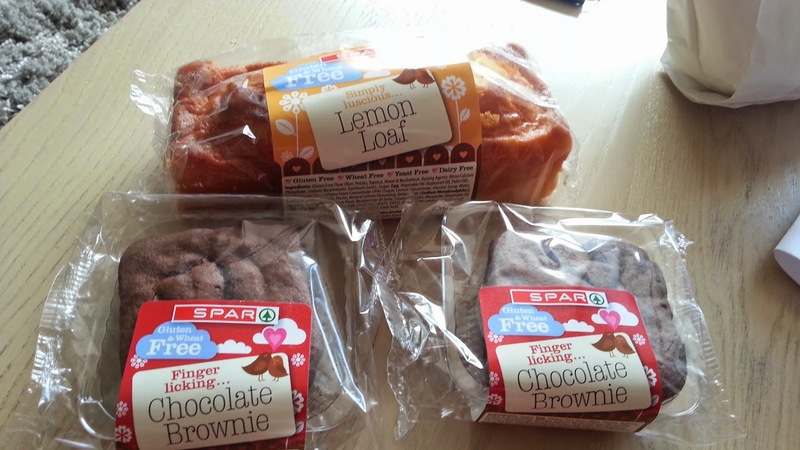 Well, Spar introduced some gluten free goodies, baked by Delicious, into their Spar own brand range over the last few months. Delicious sent me a few samples! 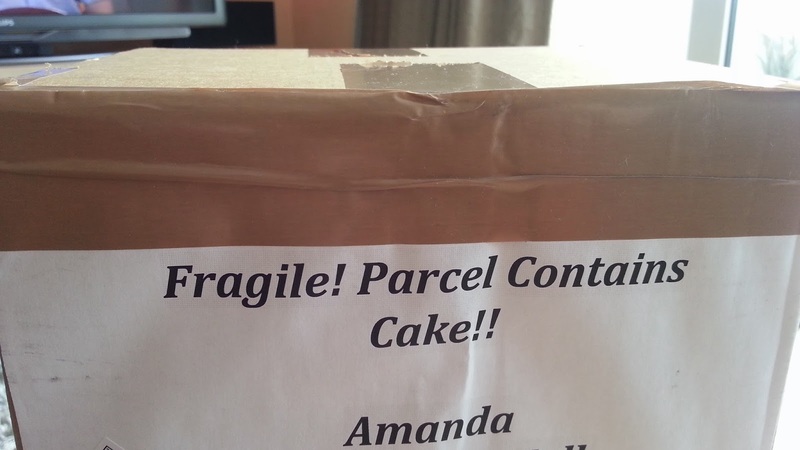 The postman had a good old laugh at me over the box! I've been taking my time putting this review up, because this idea is great. I mean affordable gluten free cake available in local stores is a brilliant idea. However, the execution is not so great. I've been picking them up to retest and retry over the last while. Perhaps I've been spoiled by having the amazing Antoinette's Bakery, who produces moist cake slices and is so close to me in the city, or maybe I was just expecting more from Delicious. Don't get me wrong, the flavours are there. Those orange chocolate (which is actually the most popular in flavour, I freaking love orange chocolate and it properly tastes like orange chocolate!) and those lemon cakes, taste like they should, but the texture confirms everything non-gluten free people think about gluten free cakes. They crumble. Badly at times. Take the brownie for example. It's gorgeously chocolatey in flavour, but I had so much trouble getting it out of the packet in one piece. 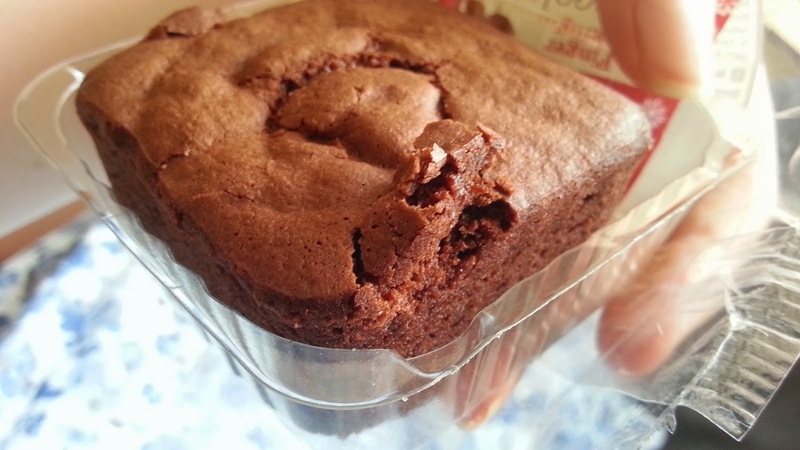 Every time I tried to slip my finger between the plastic and the brownie to pull it out, the side of the brownie caved in. I ended up eating it over the plastic and picking out the remains (and there were lots of remains) from it. I found a solution with the lemon cake: it just needed to be heated with some ice cream or warm custard to stop it crumbling. This was actually the cake that crumbled the least prior to being reheated though. As I said, this is a great idea and because they're being stocked at affordable prices at your local Spar people may actually start having treats available for you when you pop over to theirs for a cuppa. They're perfectly good products, but not a brilliant representation of how deliciously gorgeous some gluten free products can be. They deliver the flavour, but lack a little in the texture. I was also sent some of the new sweet pastry mix being launched! Unfortunately, I haven't had a moment to test it out yet! I'll keep you posted as soon, as I get the chance. The most expensive Spar for gluten free bread is Spar on Dame Street at an extortionate €4.50 for Kelkin Gluten Free Sourdough, which has just six slices of bread!! I nearly cried having to pay it. Spar on Patrick's Street (next to the Cathedral) is rolling out new stock constantly these days. They introduced Marco's Pizza a few months back and have re-jigged the gluten free section. The manager it extremely interested in providing for people living gluten free and constantly asks myself and my other half when he sees him purchasing our bread how he can improve. We've obviously made suggestions, including beer. We'll see how it goes! My friend moved out to Kilmainham recently and we stumbled into the Spar. Their gluten free section is AWESOME! They even had gluten free lemon cream wafers. 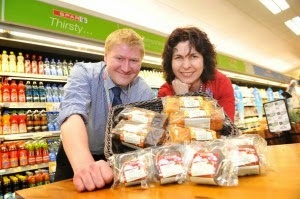 Get your butts into your local Spar's and start enquiring about them getting in gluten free stock!! As usual, we're on Facebook, Twitter, and Instagram.